Markets will be in Queen Square from 3pm – 7pm. 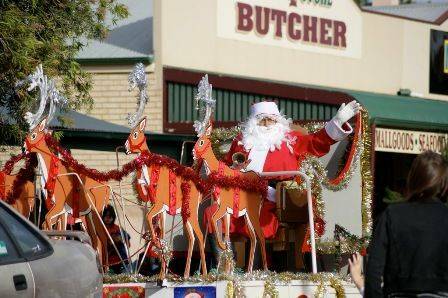 The pageant will begin at 5:30pm, and will travel along Blanche Tce and George St finishing at the end of Queen Square. Lots of music, floats and Christmas fun. Carols by Candlelight at 7:30pm. Bring a seat to watch the pageant , have some tea, and sit comfortably to enjoy a pleasant evening.